When you purchase the program, on your confirmation page you there will be a small download button that will allow you to download the program and receive your password to see the videos. Please look out for this button on your confirmation page after you order the program. Thank you!! Just a some honest words from my student in England who got a chance to test drive the Be SLAM program. 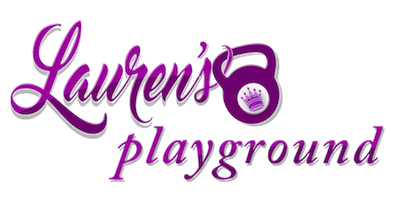 "I have been following and learning from Lauren and her DVDs for over 4 years now. The summer of last year I was actually fortunate enough to meet her whilst holidaying in the states. 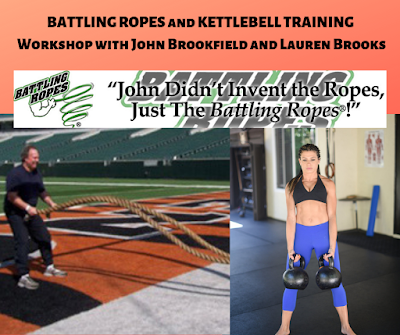 Once home in England I contacted Lauren again to see if she could advise on a training program that would help me break through the plateau I had reached with my kettlebells and that would fit in around a full time job. After discussing what the best way forward would be, Lauren kindly asked if I would test her Be Slam Program as she thought it would suit my lifestyle, schedule and goals perfectly . Of course I accepted willingly! A little history about myself, I suffered with CFS for the most part of my teen years, with several of them bed bound. I made a slow and incremental recovery initially using a graded aerobic exercise program but whilst this helped get things back on track, it was only a beginning. After being introduced to kettlebells (and eventually being convinced to give them a go by my husband!) 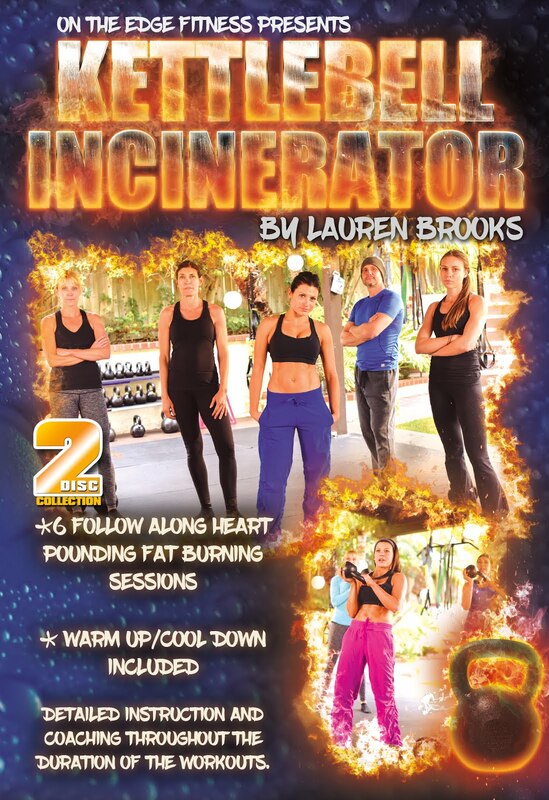 I started at just using a 4kg kettlebell following along to Lauren's DVD 's. I have come along way since incorporating kettlebells into my life. 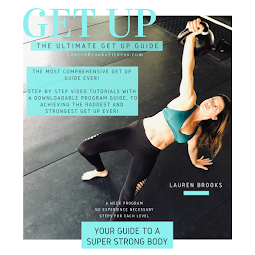 Due to my low mobility throughout my illness I still struggle with coordinating my strength, core and upper body strength and I also have some issues with my knees. This was something I discussed with Lauren, she suggested a few changes to my technique and to keep on with the substantial weight while squatting etc., something which I had always avoided. This advice has pushed me forward and by utilising the Be Slam Program I can now squat and single leg deadlift with a 20kg with no pain. I have enjoyed this program immensely and the results I have seen are fantastic. I have gone from swinging a 12kg kettlebell to swinging a rather impressive 32kg happily! My whole body is stronger and more defined, particularly my arms and core. 6 weeks into the program I had completed several full push ups , something I have always struggled with immensely. I was swinging the 28kg by the tenth week. By the 12th week the 32kg was an easy swing and deadlift and I have mastered the Turkish Get Up with a 20kg! I feel incredible. I've experienced absolutely amazing results and surpassed every goal I envisaged! The program has enabled me to move forward and focus on my strength gains whilst also taking my fitness levels to where I think they should be. The daily workouts were short enough to fit into my day and also challenging when I wanted them to be. This program was perfect for me whilst working full time and managing my energy levels. 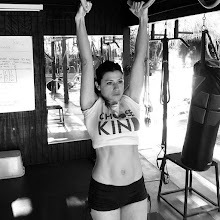 I feel so much stronger now and happy to know I can swing the same weight bell as my husband! A great workout program with fantastic results! All that is required is effort and determination! Thank you Lauren"
I have been very fortunate to utilize Lauren's new Be SLAM program for the past 3 weeks. In this short amount of time, my strength has increased significantly. I started swinging 25 lbs, and I have quickly worked up to swinging 55 lbs! I can also now do single leg deadlifts with 80 lbs. I had never pushed myself to lift kettlebells this heavy before, and I have been thrilled with the results even this early on in the program. 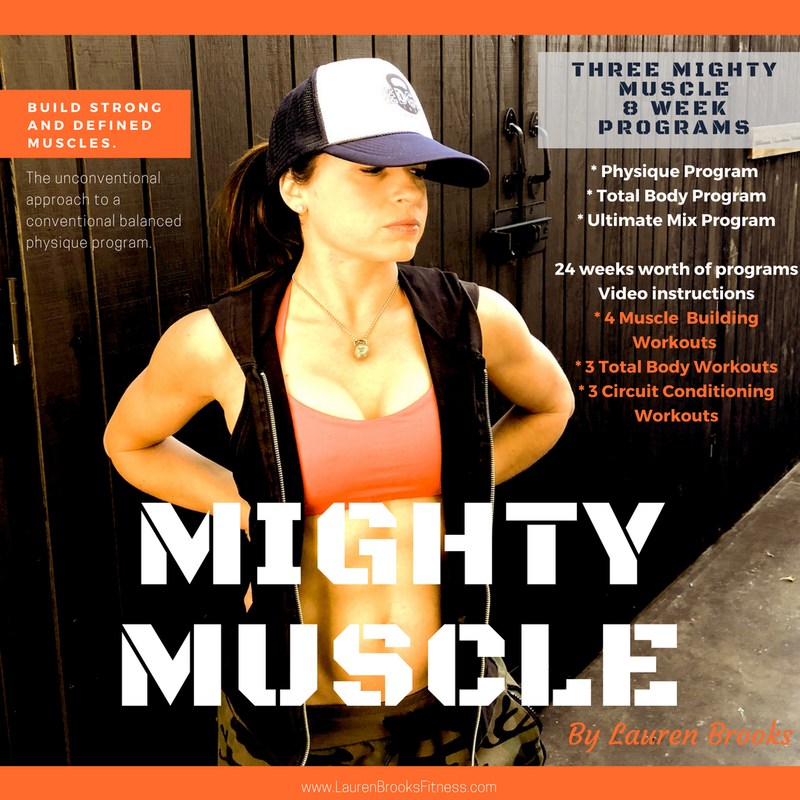 I love how the plan is geared towards increasing strength in short, incredibly effective workouts. The plan is easy to follow and allows for tracking and journaling your results which is motivating to see on paper. Both the strength and conditioning components of the program allow for utilizing heavier weights for maximum results in a short time. I am absolutely amazed at the body composition changes and the strength increases that have already been happening, and I cannot wait to see how my body will be responding by week 12. Thank you again, Lauren! Note: When you purchase the program on your confirmation page you will find a small button to download the program and receive your password. Please look out for this button on your confirmation page after you order the program. Thank you!! If you miss the button and need assistance email sale@ontheedgefitnessstore.com and he will help you get your program during business hours. 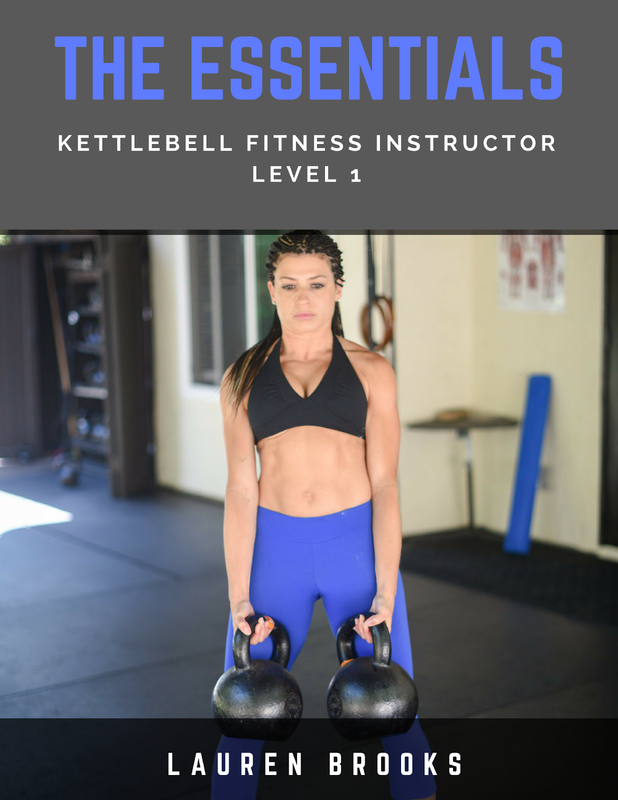 I'm mid-way through your Kettlebell for Women workouts. How does the Be SLAM workout differ from the Kettlebell for Women workout? Guess I'm wondering if I should continue on with KFW or switch gears. Or perhaps finish KFW and then do the Be SLAM. Done and downloaded! I was looking for a structured program, and boom. Thanks, Lauren! I am having trouble paying for this. My credit card transactions are being declined with AVS mismatch - address provided doesn't match billing address. But yes it does. I am in Australia, so international format perhaps ? Anyway is it possible to set up option for payment by paypal too to get around this. Thanks. He can help you with this. Look forward to hearing about your success. 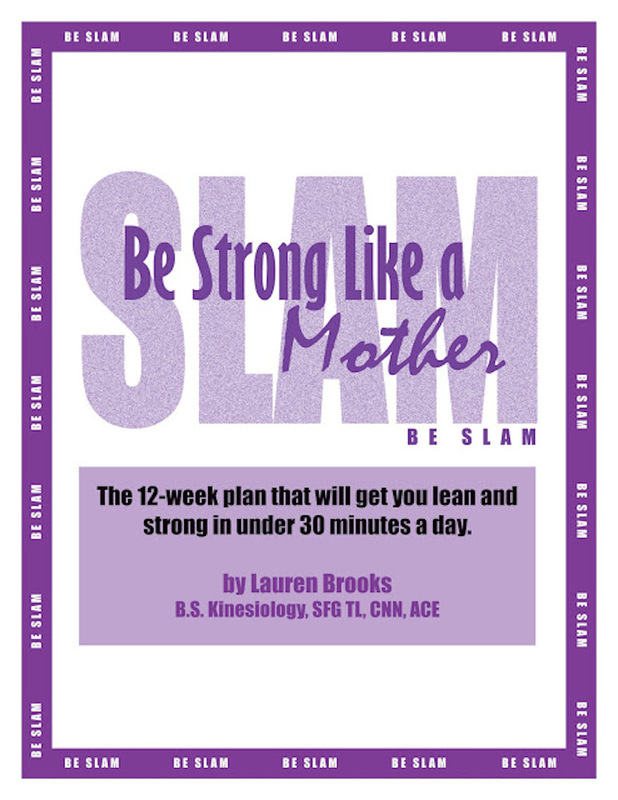 Hey Lauren - as KrisR asked - I, too, am curious as to the difference between SLAM and KFW workouts in the book. Can you advise? Congrats on the Nike endorsement! Hi Lauren! I think this is a great program. I would like to try one. I usually workout for almost 3 hours per session and I'm thinking to skip for a few days. I need to shift to short time workouts like this one. I wonder if there are negative effects if I will change my current program. Anyway, thanks for sharing! Will download this one and I'll recommend this to a lot of mothers too! Thank you for sharing this. Great questions ladies. The difference between KB for Women and Be SLAM is this program hones in on mostly strength. It has just strength focused days and just metabolic conditioning days. The KB for Women is a mixture of strength and conditioning in each workout. While you will get strong and conditioned in both, they are two different workouts. KB for Women has much more of a variety of exercises and Be SLAM is more focused on basics and getting VERY strong with the basics. Thanks again and please feel free to join the Be SLAM Facebook group after you get your copy. Looking forward to giving this a try. Much needed asap. Sounds like it's well structured and gets results. Thanks! Sounds like an interesting programme. I'll definitely buy a copy to learn about it myself.